Singapore - Football romantics the world over will undoubtedly be able to relate to the feeling of love at first sight experienced by Singapore native Lim Ying. 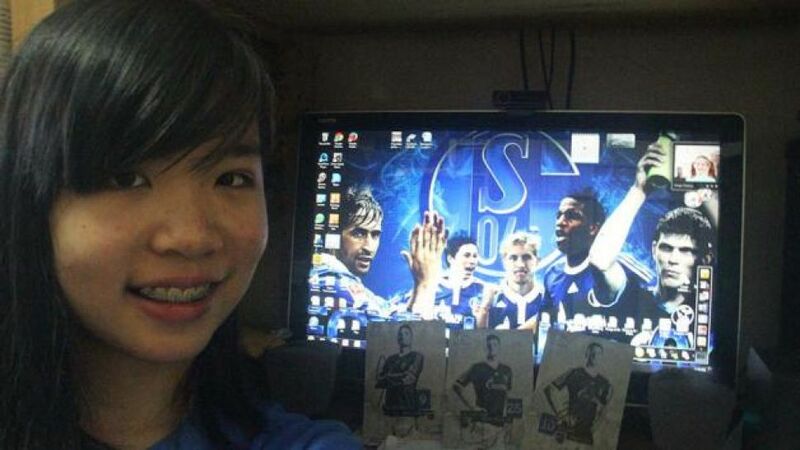 The 16-year-old is an avid FC Schalke 04 fan, having instantly taken to the club after turning on her television in autumn 2008 to find they were playing. “I was fascinated by the goals and Schalke’s attacks,” she said. Hailing from a football-crazy family, Ying is, by her own admission “the maddest of them all by now”. She became hooked after her first sample of Royal Blue fandom and was eager to find out more, even reading up on Schalke’s history. Doing so “made the club even more interesting to me,” Ying explained. The teenager now watches almost all of Schalke’s games live on television, despite most Bundesliga matches kicking off at 22:30 local time - and some even in the middle of the night - due to the seven-hour time difference with Germany. Her love of all things Schalke has even extended to German cuisine. “My favourite food is Bratwurst and here in Singapore we have quite a few German restaurants that I can go to when I get a craving for it,” she said, despite her homeland having a reputation for fine dining, including the local specialty of Char Kway Teow (sauteed noodles with soya sauce and chili).